Fri., Sept. 23, 2016, 11:37 p.m.
One day before the regular season begins, the Spokane Chiefs extended the contract of coach Don Nachbaur to keep the franchise’s all-time winningest coach under contract through the 2017-18 season. Nachbaur enters his seventh season and already leads the franchise in wins (424) and is only one game away from tying current Toronto Maple Leafs coach Mike Babcock for the most games coached. Nachbaur’s .552 winning percentage also ranks second all-time, according to the release. With 665 wins, Nachbaur is only one of four Western Hockey League coaches with 600 or more career victories. 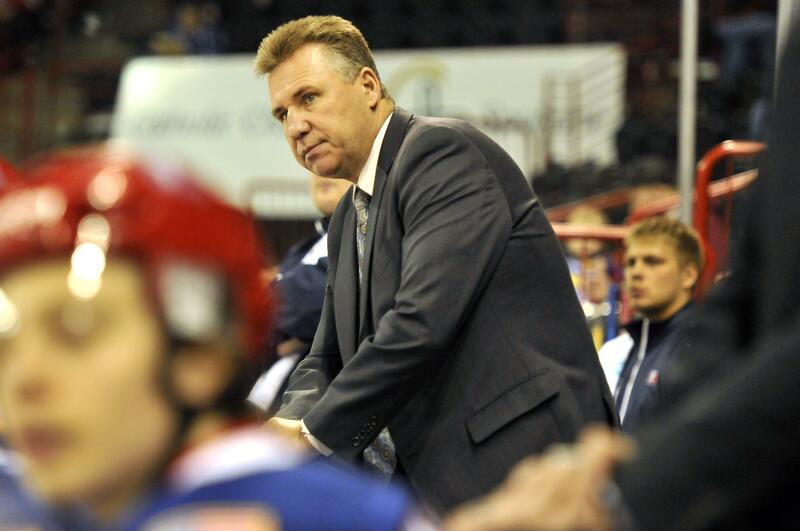 He previously coached the Seattle Thunderbirds and also is the career leader in wins (235) for the Tri-City Americans. Spokane Chiefs coach Don Nachbaur doesn’t mince words when asked how a team succeeds at hockey. The game rewards effort. The coach enters his seventh season at the helm for the Chiefs and again finds himself with a young team full of promise with nearly as many questions as the Chiefs open the season Saturday in Kennewick versus the rival Tri-City Americans. The Chiefs look to improve on last season when the team (33-30-5-4, 75 points) finished in fourth place in the U.S. Division and eighth place in the Western Conference. The Chiefs fell 4-2 in the first round of the Western Hockey League playoffs to the Victoria Royals. Leading scorer Kailer Yamamoto, of Spokane, said the team is ready to end training camp and start to play games for real. For a team dominated by youth, the Chiefs also face a quandary at the top. The Chiefs open the season with four 20-year-olds, known as “overages” and three import players. The team must release one 20-year-old and one import by Oct. 15. The candidates are forwards Dominic Zwerger (27 goals, 28 assists, 55 points); Keanu Yamamoto (22 goals, 32 assists, 54 points); Markson Bechtold (17 goals, 31 assists, 48 points); and newly acquired goalie Jayden Sittler. Sittler (.903 saves percentage in 70 WHL games) played last year for Lethbridge and looks to be a lock to start after last year’s goalie, Tyson Verhelst, quit the game and the team traded backup net minder Lasse Petersen to Everett. The team also drafted 18-year-old forwards Ondrej Najman and Pavel Kousal, who both played on the same team in Czechoslovakia. While Zwerger, of Austria, was the team’s leading goal scorer last season, he also is an import. Asked if the team is seeking a trade Zwerger, which would get the team to both limits in one move, Nachbaur said all options remain on the table. He noted that three of the 20-year-old forwards were among the team’s leading scorers and they would have to be replaced by a younger player “who may be thrown into a situation he is not ready for,” Nachbaur said. He also said the team enters the season for the first time in several years where the Chiefs don’t have a defenseman among their oldest players. The team lost a huge leader when team captain Jason Fram aged out after last season. “That’s the last line of defense before the puck gets to your goalie, so there is a lot to learn,” Nachbaur said. The top defensemen heading into the season are Tyson Helgensen, Evan Fiala and Jordan Henderson, all 19-year-olds. But the team is really high on 2015 No. 1 pick Ty Smith, who is now old enough to play a full season with the Chiefs. On offense, the team is loaded with proven scorers, starting with Kailer Yamamoto (19 goals, 52 assists, 71 points) and Hudson Elynuik, who starts the season in the training camp of the NHL’s Carolina Panthers after he was drafted in the third round. Yamamoto said he just wants to keep pushing forward. And with several key players missing long stretches of time last year, Yamamoto and Nachbaur believe the team built up experience that can help them become more consistent winners. Published: Sept. 23, 2016, 11:37 p.m.